Black Soccer Membership Association events connect you with soccer leaders, influencers, decision makers, and others who make things happen in soccer in the United States. We build a strong soccer community. Join us and be a part of something special. Events are open to everyone unless otherwise noted. Members enjoy discounted registration rates. 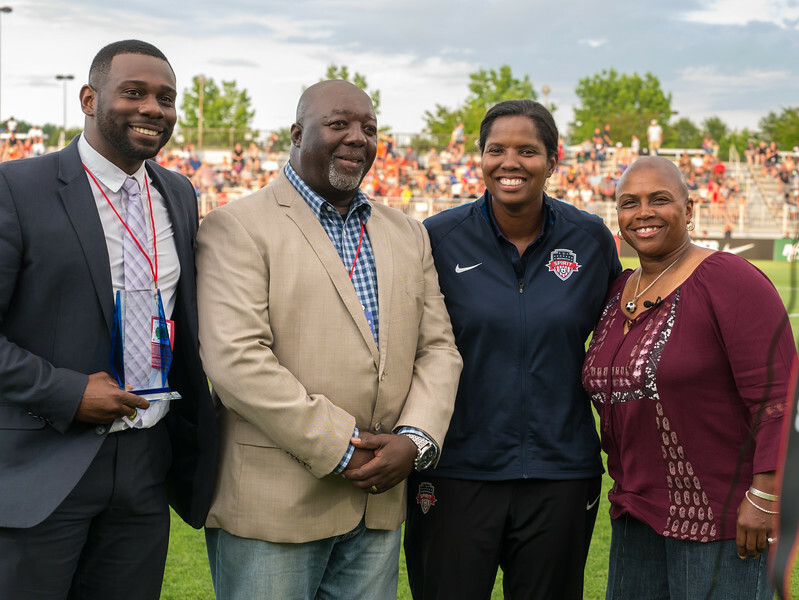 June 23, 2018 – BSMA Chairman and CEO Justin Reid, President Mike Asfall, and the first African-American woman to play for the US Women’s National team Kim Crabbe present the first African-American woman to be inducted into the US Soccer Hall of Fame, Brianna Scurry with the Lifetime Achievement award.